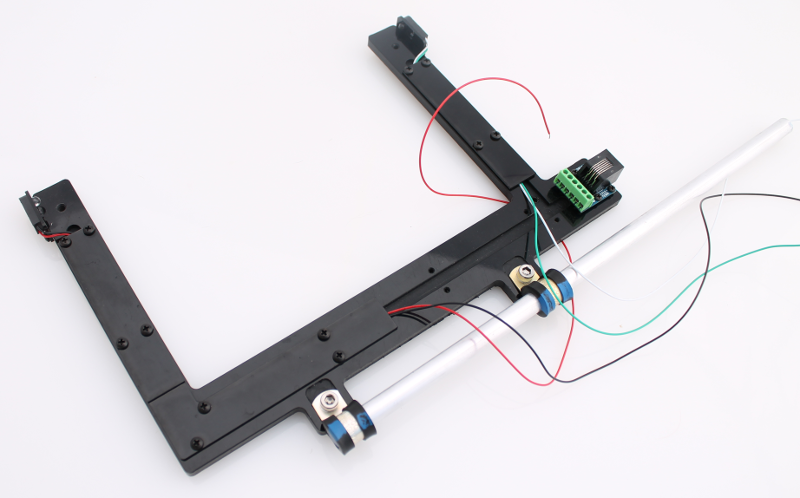 The photogate kit includes two pre-assembled photogates. 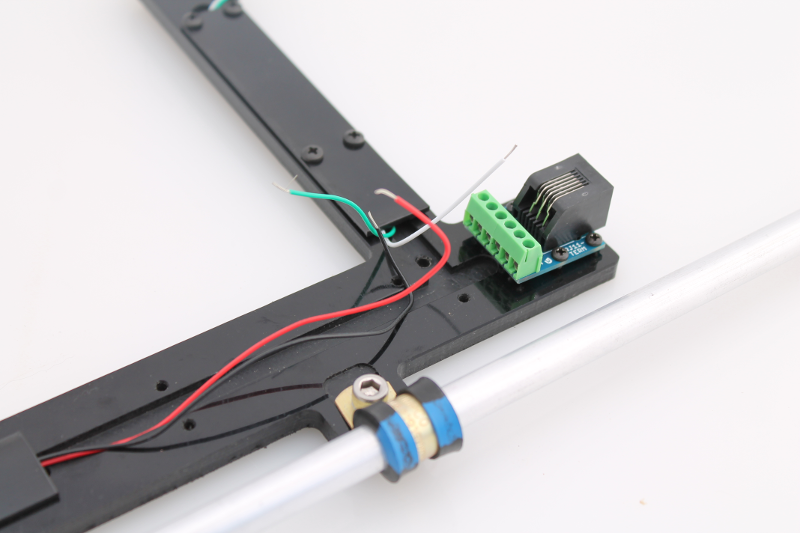 The photogate assembly steps below are only included for informational purposes and for users intending to make their own DIY photogates. 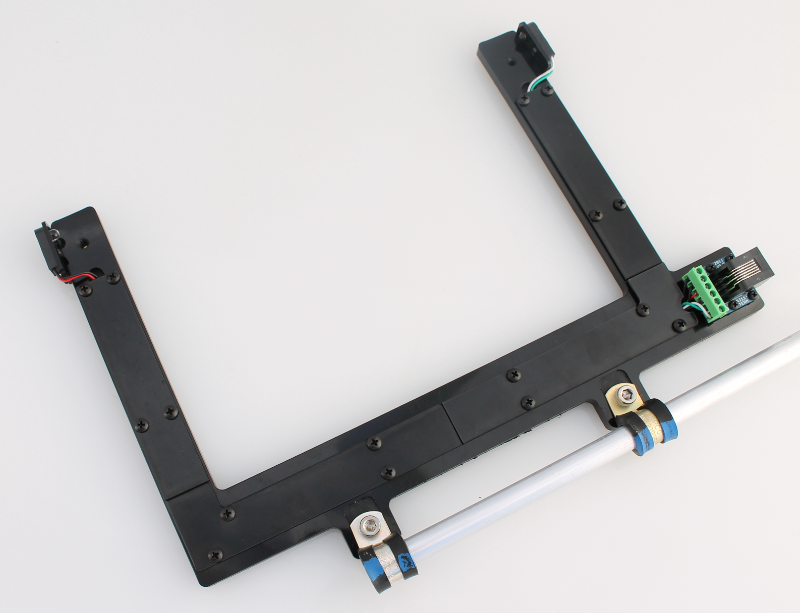 Use the 2 x loop clamps and 2 x 10-32 scews to attach the rod as shown in the images. Requires a hex wrench. (Parts # 1, 2 and 3 in List of hardware). 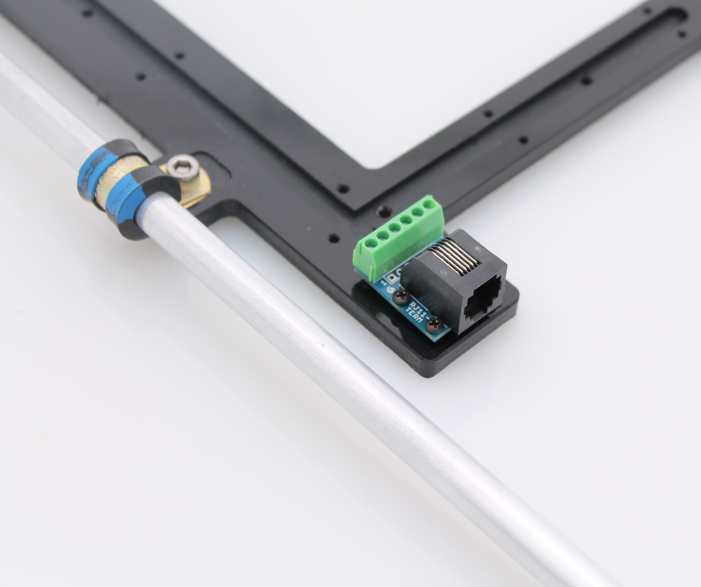 Use the four 2-56 screws to mount the RJ11 breakout board to the photogate body. (Parts # 9, 10). 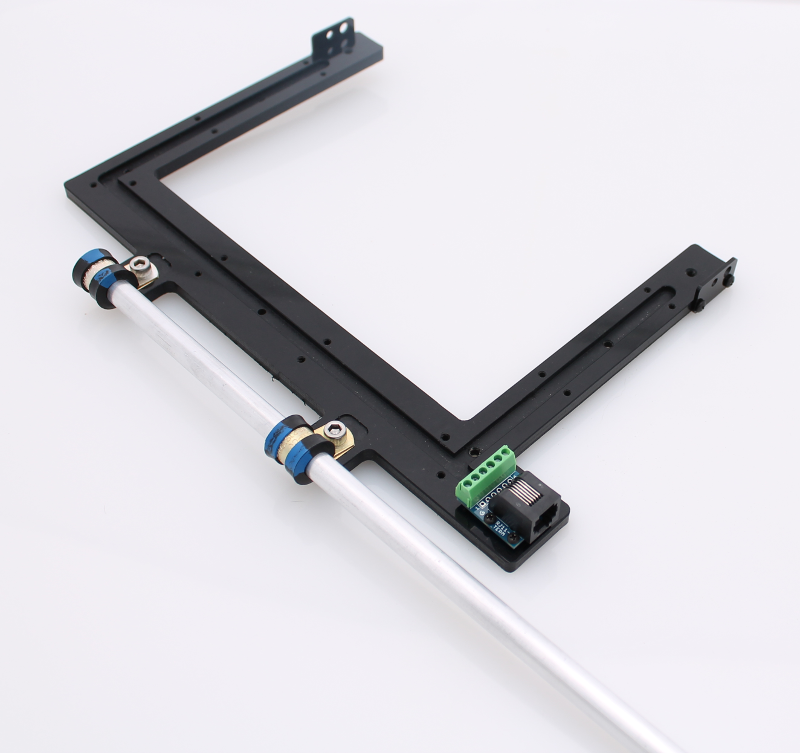 Use the 5/16” long 4-40 screws to attach the sensor/led mounts to the sides of the photogate. Orient the parts with the larger hole towards the top. (Parts # 4, 5). Press-fit the LED and Sensor into the mounts. (Part # 8). 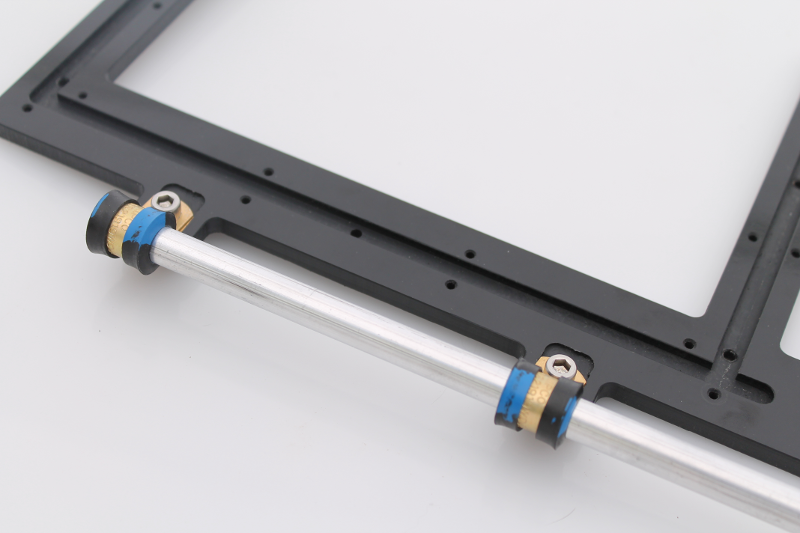 Use the 1/4” 4-40 screws to mount three of the cable covers. (Parts # 6, 7). Cut and strip the four wires. Using a small Philips blade screwdriver. 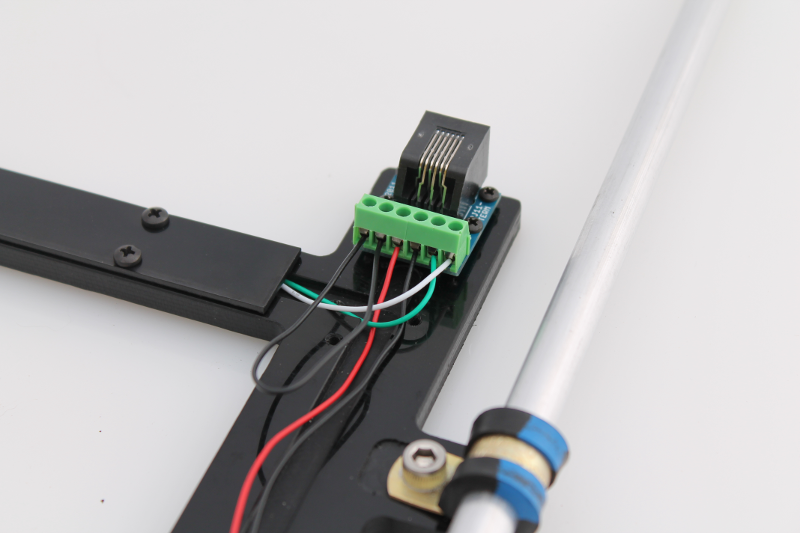 insert and secure wires into the RJ11 breakout board as shown in the image below. Phototransistor wires first (white, green) followed by emitter LED wires (black, red). Using some of the left-over black wire from the LED component, form a small u-shaped loop and place the ends into the last two terminal blocks. This is for the auto-detect function. Screw on the last cable cover to finish assembly. © Copyright 2014, IO Rodeo. Created using Sphinx 1.1.3.